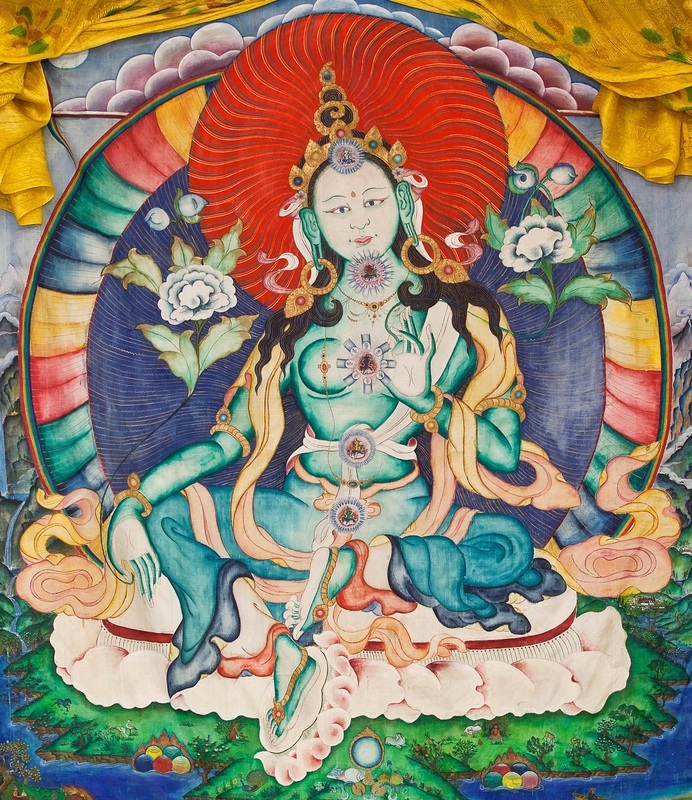 Tara is known as the mother of all the buddhas representing compassionate activity and ultimate wisdom. The Four Mandala Offering to Cittamani Tara is a ritual to make offerings to Tara and request that she come to our swift aid to remove obstacles from our lives and to protect us from fear. Traditionally, four mandalas are offered, which symbolize offering the entire universe to the meditational deity Cittamani Tara. Everyone welcome. Attendees are invited (since it is very beneficial to do so) to bring fresh fruit, healthy snack or flowers as an offering. Please arrive 10 minutes early if you plan on bringing an offering.